Based on the fundamentals of ISO9001, ISO22000 Food Safety Management System is a relatively new standard created specifically for the food industry. 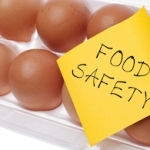 The ISO22000 Food Safety Management System standard is based on Hazard Analysis and Critical Control Points (HACCP) where potential hazards are identified through food safety audits leading to a detailed plan established to ensure elimination or effective control over hazards such as physical, chemical or microbiological contamination. High standards of food safety and food hygiene are essential in volume production or where food is being supplied to vulnerable persons such as the elderly. Requirements for any organisation in the food chain is under revision, with the draft version available for purchase from mid 2016. The final updated version is expected early 2017. Contact us to arrange a no obligation visit you to discuss your needs.